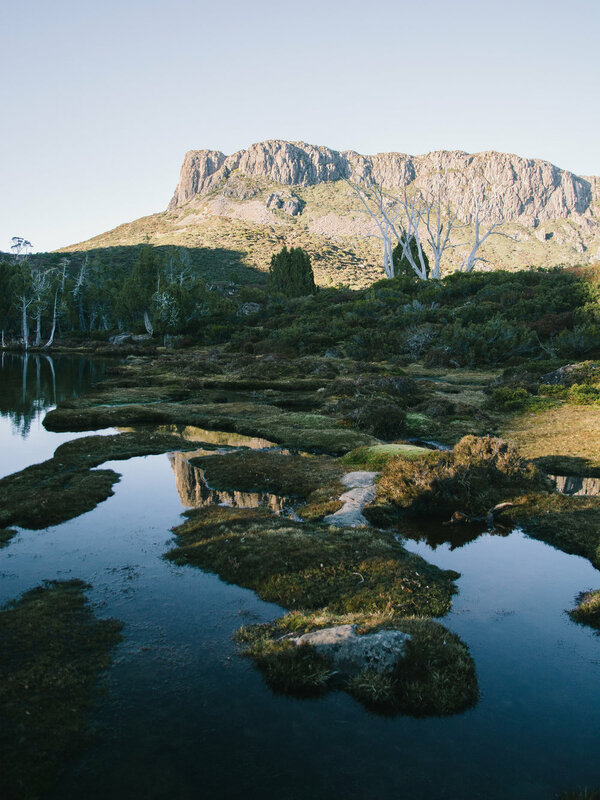 Walls of Jerusalem is a remote and wild national park in Tasmania's central highlands renowned for its ancient pencil pine forests, alpine lakes and dolerite peaks. 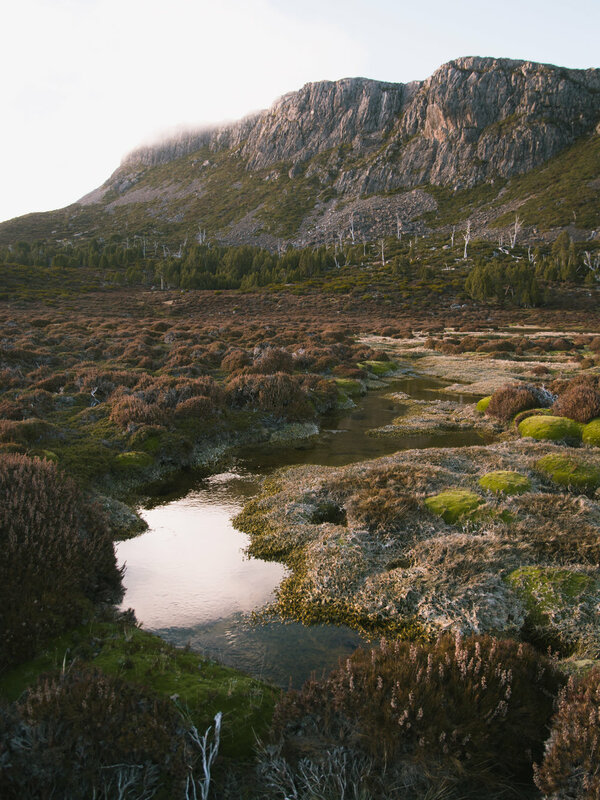 The park is an exposed and isolated wilderness area only accessible via an overnight walk - you won't find any roads, cars or crowds in this part of Tasmania. We spent three days in the park recently, walking the 26km return trip to Mount Jerusalem, in addition to a few small side trails along the way. The last remnants of winter remained visible as a few snow flurries covered shadowy slopes, but it was enough to prevent us climbing some of the higher peaks such as Solomons Throne so we stuck to the main trails as we explored the central walls on a moody Thursday afternoon, catching the last light on the distant Mount Jerusalem. We set up camp and settled in relatively early so we could catch sunrise over some of the tarns the next morning. The days are getting longer in Tasmania at this time of year so we were up at 5:00am for an early breakfast before hitting the trail to reach the Pool of Bethesda for sunrise. It was a beautiful start to the day as the clouds cleared and made way for the crisp morning light to bathe the West Wall. After around an hour of walking we reached the Pool of Bethesda, a small alpine tarn surrounded by ancient Pencil Pines, possibly over 1,000 years old. 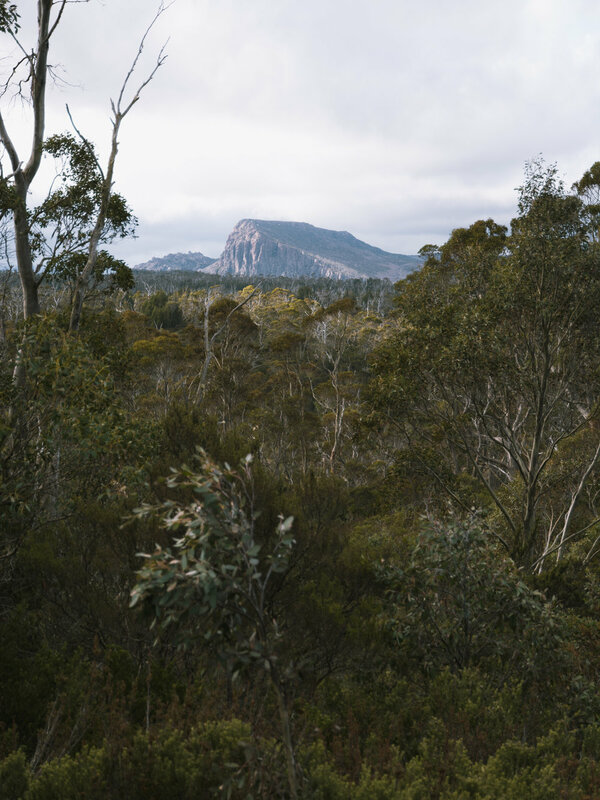 Tasmanian Pencil Pines are a rare sight - a relic of past ice ages and unable to recover from fire, they are now only isolated to cold mountainous areas that offer relative protection from wildfires that ravage other parts of the state. The Pool of Bethesda is such a peaceful place. Madeleine and I were the only people in sight as we sat and watched the morning light change in front of us while listening to what sounded like hundreds of frogs in the surrounding pools and creeks. Soon enough, we continued our six hour return walk to Mount Jerusalem. We climbed through the Damascus Gate, which offers spectacular views back toward Lake Salome and the central walls before making our way downhill through the magical Dixons Kingdom Pine Forest. Dixons Kingdom is one of the prettiest places I've been in Tasmania. The ancient pencil pines have so much character and are unlike any other forest in Australia. From Damascus Gate, the trail meanders through this unique landscape for around 30 minutes before arriving at the Dixons Kingdom hut, an old trappers camp from the 19th century. We paused for some morning tea before continuing to the top of Mount Jerusalem. It's a relatively easy climb from Dixons Kingdom, and as the highest peak in the area the views are stunning. Thousands of lakes were visible on the central plateau, which seems to stretch on forever with little sign of any civilisation. Mount Ossa, Tasmania's highest peak was also visible to the west with a thick blanket of snow. After freezing at the top for a while in the strong breeze it was time to retrace our steps back to camp, where we spent a relaxing afternoon before the rain set in for the night. There are a number of other remote trails in Walls of Jerusalem, including the Lake Adelaide circuit which we are keen to explore on our next visit. If you've been to Walls of Jerusalem before and have any tips for our next visit, leave a comment below. Tips: Walls of Jerusalem is an isolated, remote wilderness area so be prepared for all kinds of weather. Wild Dog Creek campground offers the best facilities with a water supply and toilet nearby.